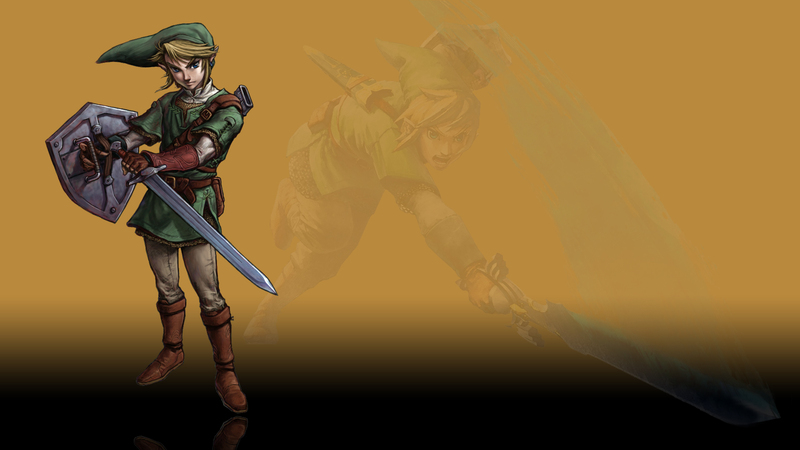 Краткое описание: The Adventure of Link bears little resemblance to the first game in the series. 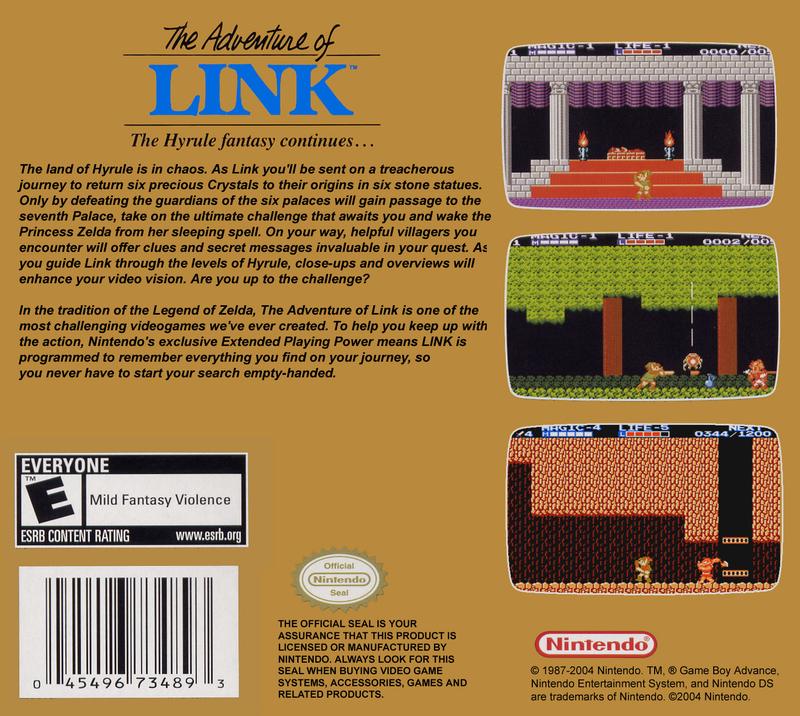 The Adventure of Link features side-scrolling areas within a larger world map rather than the bird's eye view of the previous title. The game incorporates a strategic combat system and more RPG elements, including an experience points (EXP) system, magic spells, and more interaction with non-player characters (NPCs). Link has extra lives; no other game in the series includes this feature. 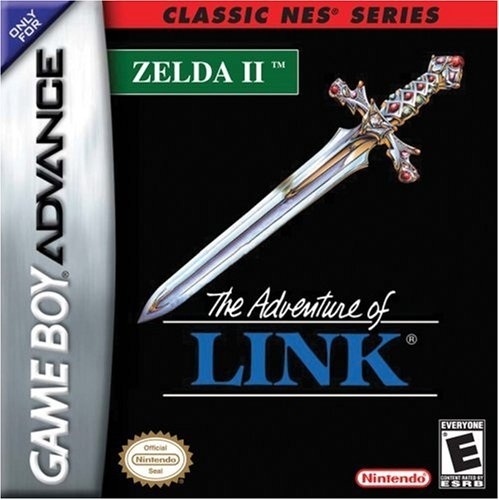 The Adventure of Link bears little resemblance to the first game in the series. 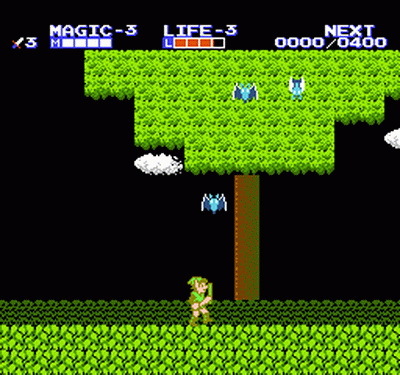 The Adventure of Link features side-scrolling areas within a larger world map rather than the bird's eye view of the previous title. The game incorporates a strategic combat system and more RPG elements, including an experience points (EXP) system, magic spells, and more interaction with non-player characters (NPCs). Link has extra lives; no other game in the series includes this feature.